My kids are huge fans of the hit television animated series, Spongebob Sqaurepants. Even if you're not a fan or don't watch the show, I can almost bet that you know the theme song. Kids are always singing it, adults sometimes too. We had the opportunity to review the new video-game, Spongebob HeroPants, based on the new movie, The SpongeBob Movie: Sponge Out of Water, that was released last month. My kids were super excited when the game came in the mail and went straight to our Xbox 360 in our game room to play it. SpongeBob HeroPants is an action game with a focus on exploration, light puzzles and combat. 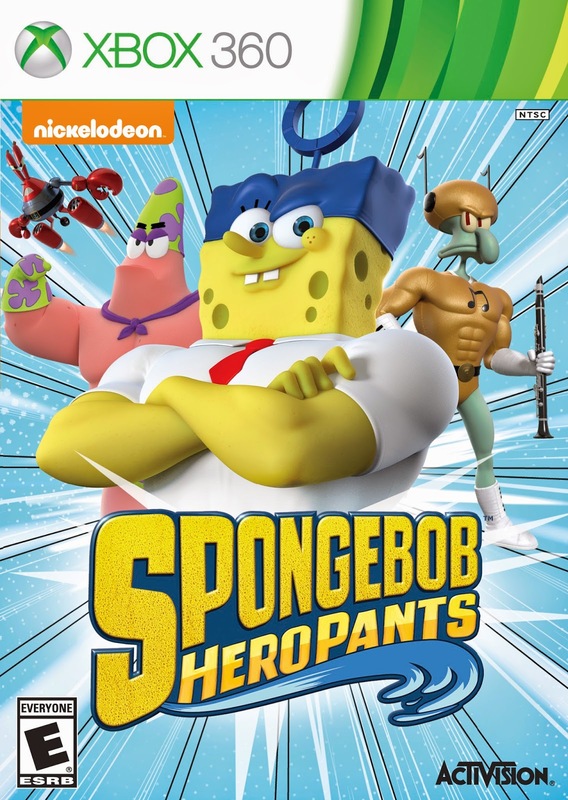 Each of its six playable characters–SpongeBob, Patrick, Squidward, Sandy, Mr. Krabs and Plankton–can morph into a unique superpowered champion to solve challenges, unlock new areas and defeat SpongeBob's crazy imagination. The full adventure features boss battles, upgradeable skills and a treasure trove of hidden items to unearth. It also includes four-person local drop-in/drop-out cooperative multiplayer on Xbox 360. My kids found the game fun, easy and exciting. What I love about the game is that you can play up to four players and right off the bat you can choose which one of your favorite characters you want to play as, My two older kids had a blast playing together. Since we only have two controllers for the Xbox 360, the hubby and I took turns playing as well. We found the game really easy, but it was awesome to see each character morph into their superpowered self. There are three worlds to complete with 15 levels that aren't too long to get through. While you're completing the levels you can collect coins that will allow you to upgrade as well as earn trophies. The game was really easy to complete, which is great for a younger kids playing. It was a great family that the entire family enjoyed. I think the only thing I would have liked to see on this game was a bit more better graphics. Other then that, I thought this was a great game for my kiddos. Spongebob HeroPants is now available on Xbox 360, Nintendo 3DS and Playstation Vita. For more information about this game be sure to head over to www.activision.com/games. One Just Us Girls reader will win a copy of Spongebob HeroPants video-game on your choice of Xbox 360, Nintendo 3DS or PS Vita. Leave a comment below letting us know who's your favorite character from the show. Disclosure: All opinions are my own. I received Spongebob HeroPants on Xbox 360 at no cost for the purpose of this review. No other compensation was received.